CSL CS101 | RFID Printer | Esskay Technologys Pvt. Ltd.
CS101 is the longest read range, highest read rate and highest read yield UHF RFID handheld reader in the world. 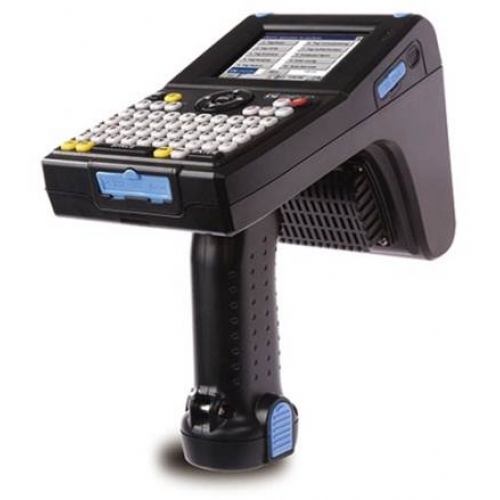 It enables lightning fast inventory of cases on pallet, warehouse shelves, moving vehicles, and other tagged items in business processes where fixed reader class performance is required in a portable device. CS101 is now deployed in many mission critical government, industrial and commercial sites in the world. With the same API as CS203, CS468 and CS469 – CSL Unified API, the application development time and cost are reduced, resulting in a faster time to market.